New instances of threat and fraud make headlines almost daily. From data breaches, fraud and internal theft to public safety issues like crime and homeland security, it’s becoming increasingly difficult to protect your business. In this paper, you’ll explore how business analytics can form the foundation for a proactive threat management strategy. See examples of how different types of organizations are applying analytics. 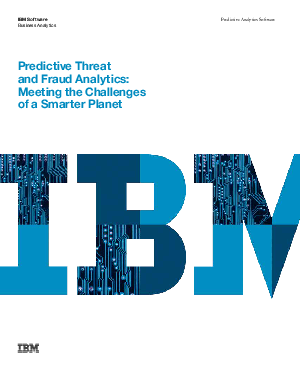 Learn practical steps you can take to combat threat and fraud in your own organization.